Having Internet access during traveling is almost mandatory for me as I have to regularly check business emails as well as responding to customers inquiries. Many hotels offers free wifi or Internet connection during your stay. We can find free hotspot in restaurant and cafe as well. But for those who wants to get connected all the time, whether using Blackberry, iPhone, or other mobile devices, finding free hotspot means you can't be mobile as you have to sit on free hotspot location to get connected. The solution is clear, you have to pay for data plan. This will also eliminate your necessity to choose lousy hotel because they offer free Internet service. 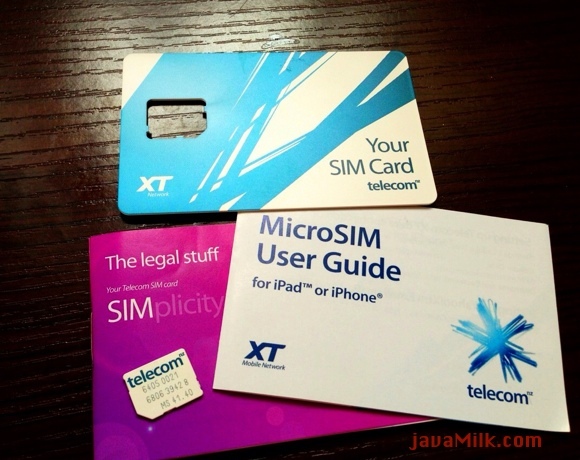 First option is you have to buy local GSM SIM card, but you will loose ability to be contacted with your Indonesian number. This may also more expensive for Internet usage only, but for cheap local calls you must choose this option. The other option is to bring your own Indonesian number and activate roaming service. You can be reached using your own number, but beware of expensive roaming rate. Apparently there is another plus point of bringing your own country GSM: Unlimited Internet with flat rate. Bringing laptop during travelling is very handy, as we need to stay online or check email wherever we are. But laptop (or you may bring netbook) is (sometime) heavy, and battery life cannot last for long-haul flight (unless you sit in business class that offers electric plug). So, iPad is coming to save the world. It is lightweight, less than 800g, can be used for 10+ hours of work, at least you can watch movies or play hours of game in your flight across continent. What do you want to do? Read emails, rss, work with documents or presentations, play games, listen to music? Most of laptop functionality are there in iPad. When AmericanAirlines offers inflight wifi, you could not be happier since you can browse Internet to kill time.